Hume had a message he wanted to get out — particularly as regards skepticism about religion — but he was no proto-Richard Dawkins, says Cambridge philosopher, Simon Blackburn. He chooses the best books on (or by) David Hume. 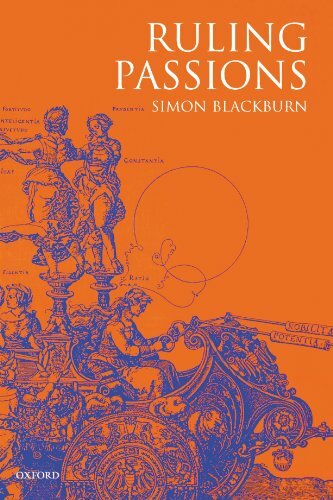 Simon Blackburn is Professor of Philosophy at the University of Cambridge. He was Edna J. Doury Distinguished Professor of Philosophy at the University of North Carolina, and from 1969 to 1990 was a Fellow and Tutor at Pembroke College, Oxford. 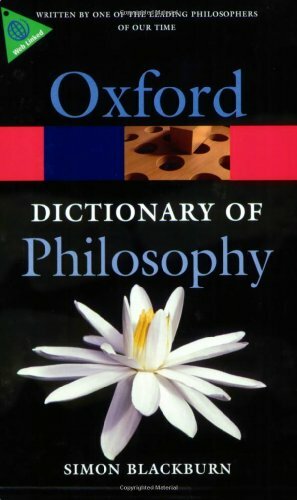 He is the author of The Oxford Dictionary of Philosophy and the best-selling Think and Being Good, among other books. Why are you so fond of David Hume as a philosopher? There are two reasons. One is that I admire a great many of his doctrines. The other, perhaps more personal, is that I very much admire and love him as a man. He lived an admirable life and a warm, generous spirit breathes through all his writings. I find that very attractive. That leads neatly into your first book choice, which is Ernest Mossner’s The Life of David Hume. This is the standard life of Hume. There are others, but Mossner seems to hold the field. 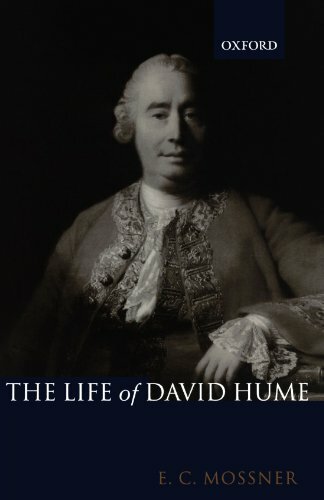 It was the book that introduced me to Hume’s life and biography, so it was formative in that respect. It bears out what I just said, that Hume was a very loveable, admirable, man. He had this great generosity and benevolence and was very much adored by everyone who knew him. Can you tell us a bit about who David Hume was? He was born in the Lowlands of Scotland in 1711. His family were small-scale farmers but well enough off for him to get a good education. He went to Edinburgh University at a young age, and then with various interruptions — not many — he lived the life of a scholar. He devoted a great deal of time to learning, to reading and, of course, eventually to writing. He started writing very young: the Treatise, which many people think is his masterpiece, and is certainly a very important book in the history of philosophy, was written by 1739, when he was still only 28. He got off the blocks pretty quickly, and he never stopped writing after that. He actually lived as a writer, didn’t he, because he was excluded from all kinds of academic posts? Yes, notoriously he didn’t get the chair at Edinburgh, largely because of hostility from entrenched religious interests and the Church of Scotland, the Presbyterian church here. And that was because he was presumed to be an atheist? Yes, although it was not a term he liked to apply to himself. He was known as the “Great Infidel,” and he certainly had no religious convictions at all. One of the things I liked about the Mossner book is the use of extensive quotations from letters. 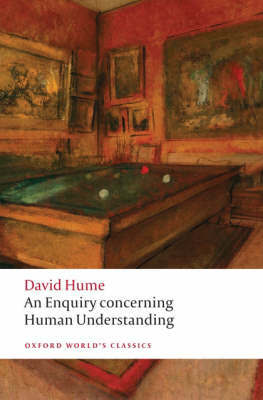 You get a real flavour of not just Hume as a philosopher, but as a friend and sometimes as a witty, slightly barbative commentator on events and people around him. Yes, he had a very wide circle of correspondents and acquaintances — and of course they wrote letters to each other in those days and not emails — so we do have a very splendid archive of his correspondence. The next book is usually known by philosophers as The First Enquiry, but its full title is An Enquiry Concerning Human Understanding. This was written about a decade after the Treatise, and it was designed to make the doctrines of the Treatise — or at least the ones that by that time Hume found himself wedded to — more accessible. These are the doctrines of the first book of the Treatise, which is the book that concerns itself with metaphysics, epistemology and the nature of human understanding. The Treatise, in Hume’s famous phrase “fell dead born from the Press,” in other words it didn’t get the audience he had hoped for. So he recast important doctrines in the Enquiry. There’s some cost: some of the really difficult and intriguing doctrines of the Treatise get lost or very much suppressed, but at the same time it is a much more accessible and readable book. No, I think among great philosophers it’s almost unique. I can’t think of another case. Perhaps you could see Berkeley’s Three Dialogues as a kind of recasting of his Principles, that’s the nearest case I can think of. So he clearly was someone who wanted to speak to a wider audience, he wasn’t just content to write for a very small group of philosophers. He felt he had something important to say, particularly as regards skepticism about religion. He was anxious to get it out, to enable people to appreciate both the scope and the limits of human reason — and therefore to avoid dogmatism. In that respect he was a follower of John Locke, and arguably Berkeley himself. The 17th and 18th centuries were preoccupied with the idea that if we had a proper understanding of human nature, we’d have a proper account of human understanding and of its limits. That was very important to him, and to Locke for that matter. That’s right. The doctrine that eventually emerges is called “mitigated skepticism” by Hume. He never had any time for exaggerated skepticism — the kind that led Descartes to worry about whether he might be dreaming all the time. But Hume did think that overconfidence and dogmatism led to intolerance, to faction, to a lot of the crimes of human history. So if you could show, in a decisive way, where our limits lie, we could improve on that abysmal history. 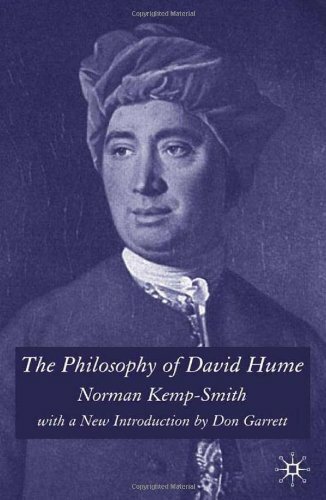 Yes this was perhaps Hume’s first great — it’s always dangerous in philosophy to say — discovery. I think other people had been aware of problems of induction before Hume, but there’s no doubt he put the matter in the classic way. What he finds is that the confidence we have in natural law — in the regularities and uniformity of nature, in the future being about to resemble the past — has a source in our animal nature. Animals too expect things to go on much as they have gone on — but it has no justification in reason. There is no a priori way of showing that it’s even probable that the future will resemble the past. So just because the sun rose this morning, doesn’t mean it will tomorrow. Absolutely. There’s nothing available to our understanding to show us why things must keep on as they apparently always have. That idea, that this expectation is something in our psychology, is something he continues throughout the Enquiry. you can’t deny the existence of our propensities to believe certain sorts of things. One of the areas where that was controversial for him was his analysis of people’s propensity to believe that miracles have happened. This becomes rather difficult. The famous section X of the First Enquiry on miracles is this wonderful epistemological argument that it can never be reasonable to believe in a report of a miracle, because the probability that human testimony is letting us down is always greater than the probability of a miracle having occurred. So if someone comes to you with a report of a putative miracle — flying pigs were seen in Cambridge today — the right response is always going to be to worry about how on earth this report got going, not whether there were flying pigs in Cambridge. Because, in effect, the miracle monger, the person who is giving you a report of a miracle, faces a bind. They’ve got to take on something which is antecedently as improbable as it could possibly be, otherwise they would just say it was a rare event. So if I tell you that three horses ran neck-to-neck in the Grand National, well that’s not very common or possibly very likely. But if I tell you that one of them then beat the other by flying through the air, that’s not just unlikely, it’s a miracle — it’s clean contrary to everything we believe about nature. So, in a sense, it relies on this notion that there are laws of nature which are extremely likely to be true, that have a large amount of evidence in support of them, and a miracle is, by definition — or at least Hume’s definition — something that transgresses those alleged laws of nature. Yes, so there’s a certain amount of muddiness about the overall picture that Hume is offering. It does seem as though the argument against miracles requires some confidence in probabilities, and then of course you might ask, “Where does that confidence come from if reason is silent? Surely it’s silent about probabilities as well?” So there is a difficulty adjusting the chapter on miracles to the overall philosophy of induction and science. Now in the Enquiry there is also an attack on what is sometimes known as the “Argument from Design,” the idea that you can prove God’s existence empirically by looking at the evidence of a designer around you. 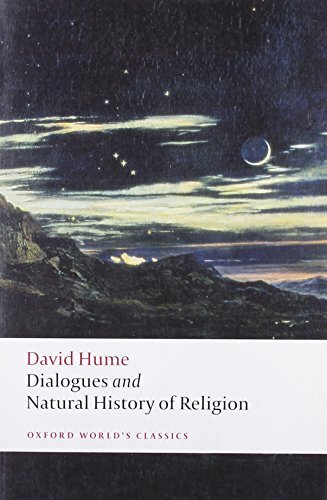 That’s something that carries through into your next book, Hume’s Dialogues Concerning Natural Religion. He’s on much stronger ground in his refutation there, there aren’t many weaknesses, to my mind, in his argument. Can you say something about the Dialogues? The great thing about the Dialogues is the attack on the argument of design, it’s usually taken to be the decisive destruction of that argument. There are many, many strands to it. Part of the beauty of the Dialogues — and one thing that makes it a very funny book apart from anything else — is that Hume gives us two spokesmen for religious belief. One of them, a guy called Cleanthes, is the spokesman for the argument from design. The other one, a chap called Demea, is probably modelled on Leibniz or on 17th century rationalism. He thinks there’s a mathematical or quasi-mathematical logical proof of the existence of God. In Cleanthes’s hands, the argument from design is presented like a piece of science. Just as if you find the cheese has been eaten, you might suppose that the best explanation is that there is a mouse about, so if you find order and beauty and complexity in nature, the best explanation is that it was designed by a splendid intelligence of some kind and that we call God. So Cleanthes is offering us a quasi piece of science. Demea is offering us a quasi piece of mathematics or logic. The humour of the Dialogues consists in setting these two at each other’s throats. So by the end Demea has said that Cleanthes is little better than an anthropomorphite — that he can’t know whether God is single or many, whether the world is designed by a committee or by an infant deity who is an object of derision to his superiors, or by a superannuated old deity who has since died. In other words, all these things that are common to human beings become possible attributes of God. So Demea says Cleanthes is little better than an atheist, and Cleanthes turns around and says Demea is little better than an atheist, because his mathematician’s God is beyond understanding. It has no attributes we can make sense of. So each of them is sceptical about the other. Meanwhile the actual sceptic in the Dialogues, Philo — who most people, and I myself, think is Hume — just has to sit back and watch these two tearing each other apart. What’s interesting is that philosophy more or less began with dialogues — if you think of Plato as the starting point of philosophy as we know it — and yet there have been so few successful dialogues written since. That’s right, there are very few. 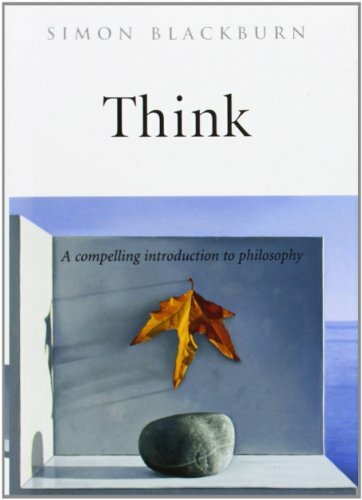 Berkeley’s Three Dialogues is perhaps the only other wholly successful example since Plato. One might mention Galileo’s Dialogue Concerning the Two Chief World Systems, although that’s more about physics and astronomy. It’s very rare, and it’s even more rare for it to be pulled off successfully. One of the reasons he pulls it off so successfully is that he deliberately strengthens the arguments of each participant so that he doesn’t have easy or soft targets. The other reason I think it’s so successful is that he’s got such a creative imagination when it comes to examples, they’re so beautifully constructed with such clever images. The one that sticks with me is about the books. Yes, that’s right. Cleanthes says that the whole world is a kind of library, and you can read the Creator’s mind in it. This is a point at which Demea gets hot under the collar and says “No, God is too mysterious! When we read a book we enter into the mind of the author, but we can’t know the mind of God in that intimate way.” So that’s a point at which Demea rebels against Cleanthes, and in fact does the sceptic’s work for him. Hume worked on this book throughout his life, I believe, but didn’t publish it during his lifetime. Some of the central ideas were put in very pithy form in section XI of the First Enquiry, so that’s as early as 1749 or so. But he goes on revising the Dialogues and adding to them almost until his death in 1776. It was more than 35 years in the making. Why was that? Presumably because it still wasn’t a good time to publish works that were critical of religious views? It’s a good question. I’m not completely convinced by any of the explanations I’ve heard. It’s certain he had friends amongst the moderate party in the Church of Scotland, and he might have been cautious about offending them. But he’d already published a chapter on miracles, and the gist of the arguments of the Dialogues in section XI of the First Enquiry. He then published quite inflammatory essays on suicide and immortality. It’s not plain that the Dialogues are more inflammatory than anything else that he was quite happy to have published. It may be that by the 1760s — the last decade or so of his life — he’d become less interested in presenting the arguments on natural religion. Natural religion is considering religion as a doctrine: these are the arguments for it, arguments independent of revelation, and those he destroys. But he’s also very interested in religion as a natural phenomenon that is part of the biography of human beings. He wrote a shorter book on that, The Natural History of Religion, which really considers religion as a kind of psychological or social phenomenon. That is the ancestor of writers like Durkheim who are anthropologists who have looked at the functional role that religions play. Yes, we see Hume as a philosopher, but his contemporaries saw him as a historian. Exactly. The naturalism we’ll come on to because it’s very much emphasized in the book by Norman Kemp-Smith, who gives him a kind of proto-anthropological, proto-psychological/sociological interest in the way human beings behave. That’s presumably part of what makes Hume so attractive – he wasn’t just a narrow, academic specialist. He was someone who was genuinely interested by humanity in every aspect of our understanding: the past of human beings, why we are as we are, why we fall into certain patterns of behaviour and thinking. 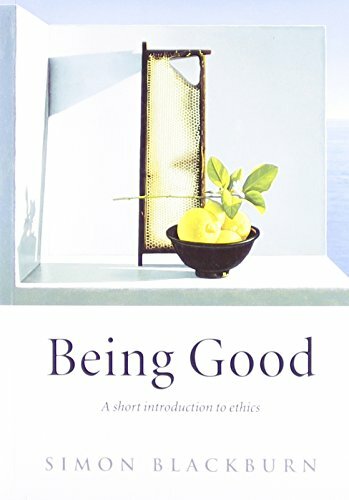 Yes, he was very interested in all that, and in a sense his whole philosophy can be seen as an unravelling of such constancies as there are in human nature, both in connection with the ways we think, the categories we think with and also in connection with our ethics, which he also wrote extensively on. It’s not, and in some respects, Kemp-Smith has been superseded. But he gets an awful lot right, and he effected a sea-change in people’s understanding of Hume. I think it’s fair to say that the dominant idea before Kemp-Smith is that Hume was a sceptic, he didn’t allow that we know anything. Yes. A number of commentators in his own time, most notoriously James Beattie and Thomas Reid, had pegged Hume as the person who drove empiricism to its sceptical limit and thereby basically reduced it to absurdity. Because we’re not allowed to believe anything, we’re left in the position of the Pyrrhonian skeptic, after Pyrrho of Elis, who is supposed not to have been confident of anything, including whether he was sitting down or standing up or was in a room or outdoors. And of course that way madness lies… So the Reid-Beattie interpretation was quite dominant in the Victorian period and in early 20th century commentary. It took Norman Kemp-Smith to rescue Hume from that, and point out that no, Hume is not an opponent of natural belief. He is a naturalist. He’s interested in the mechanisms of the mind that lead to natural belief. Well, in a sense, that’s exactly what Hume does. He watches human beings in their natural habitat. Of course he wasn’t a field anthropologist, but he had his books: he was a historian and knew a great deal about how human beings behave and the kind of systems they form for themselves and so on. So you can see him as intensely interested in human nature, in the nature of the human motivational system, in the nature of our cognitive systems, and that makes him the granddaddy of an awful lot of sciences of man. He’s also thought of as a great Enlightenment figure, but the caricature of the Enlightenment is that it put all the weight on human reason: reason is the light that is shone into the darkness. Yes, it’s a very back-handed compliment to Hume, because he was very doubtful about the powers of human reason. One’s got to be careful here, reasonable is a term of praise, and Hume uses it as such. He doesn’t doubt that there are better and worse ways of conducting our intellectual lives or conducting our scientific enquiries. He’s firmly on the side of the better ways of doing that. But he’s an opponent of the scholastic, quasi-mathematical, logical powers of the mind. Those powers he diminishes. What comes in to take their place is the doctrine of natural belief, of the way our psychologies will end up distributing confidence in things. And it’s not just the abstract reasoning that he’s interested in, but also what motivates us to do anything. Very much so. The second book of the Treatise was basically entirely about human motivation, leading onto the third book which is about ethics and to some extent politics as well. The mechanisms of the mind he’s interested in are the ones that have direct motivational efficacy. There’s a suggestion that reason is always the slave of the passions? Yes, that’s the famous provocative remark, “and has no other office but to serve and obey them.” There’s an insight there which is picked up in much modern philosophy, and it is of course the insight of pragmatism, that success in action is, in some sense, the mother of thought. It’s because we need our actions in the world to serve our needs and to generate success, that we have the intelligences we do. That’s the nutshell idea of modern American pragmatism, and the pragmatist tradition. 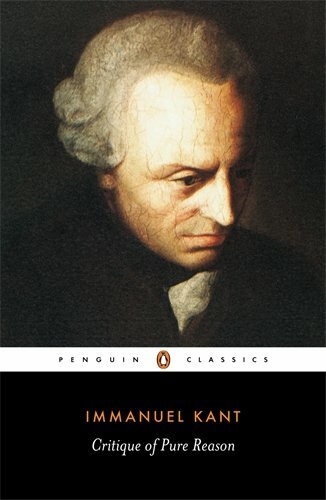 You’ve chosen a book by Kant as your fifth book. Why did you do that, why the Critique of Pure Reason? It’s an illuminating way to think of the Critique, as a kind of prolonged wrestling match with Hume. 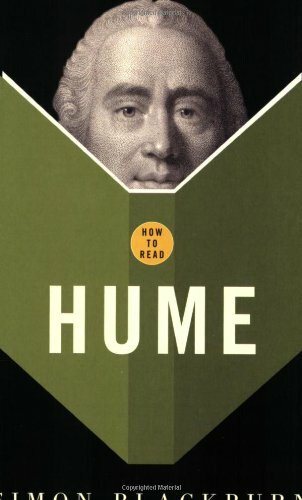 Kant recognizes the challenge Hume poses to human reason, and he tries to show that reason can meet that challenge, that there are proper ways of thinking, correct ways of thinking, there are correct categories of thought, and these have a kind of logical or a priori command over any thought, not just human thought. So instead of human nature, we’re going to get unalterable structures which any reasoning creature would have to be following. For example, in Hume, if, let’s say, human beings came across Martians, there’d be no particular reason to expect the Martians to think in the same way that we do. For Kant, there would. If the Martians think of themselves as individuals inhabiting an extended spatial and temporal world, they’ll have to think like that. They will share a lot of common categories with us: categories like causation, substance, space, time and so on. Hume’s empiricism involves him assuming that experience is what gives us most of our information about the world. Is it fair to say that, in contrast, Kant is saying that from an analysis of the way we organize the world, it follows that there must be this logical structure to our thought? That’s right, that’s basically the element that Kant wheels out to try to diminish the scepticism about reason that we’ve been talking about, and to put in its place a kind of guarantee: first of all that there will be uniformity in nature and secondly that we’re right to think of nature in terms of causation, space, time and whatever other structures he can dig out. Is Kant explicit about Hume as the stimulus for the book? Yes, he says it’s Hume who awoke him from his dogmatic slumbers. He pays the most generous tribute to Hume. He’s also very scathing about Reid and Beattie, who he thinks totally failed to understand Hume. They totally failed to see that Hume is not attacking natural belief. He’s in favour of our natural belief systems, but he’s attacking their foundation in reason. That’s what Kant sets about trying to supply. This is very interesting. The key text here is the final section of the Dialogues, section XII. As we’ve been discussing, in most of the Dialogues Hume absolutely destroys the argument from design. But then, in the final section, he turns around, apparently very concessive, and says “Look really the whole issue is just verbal. The theist thinks that the ultimate cause of the universe bears some relation to human intelligence, why should we deny that? Maybe it does. It probably bears some relationship to other processes of nature and human intelligence is just one of those, so let’s not make a meal of this.” This all seems terribly soggy. Just at the point where Philo seems to have won hands down, he turns around and says, “There’s not really much of an issue here.” That of course would anger someone like Richard Dawkins enormously. The greatness of Hume is apparent here. He was a very economical thinker. He doesn’t ever try to prove more than he wants. At this point, what he’s interested in is that there are no implications for practice. He’s reduced what our natural reasoning powers can deliver about God or the ultimate causes of things to the point where we can’t draw any implications for how to behave, who to worship, what kind of doctrines or beliefs to hold. We’re reduced, in effect, to a kind of silence. That is quite congenial to some religious thinkers, but to Hume, it matters enormously, because all the wars and the dogmas and the legal systems which are founded with the alleged authority of religion, in turn, are just creations spun out of our own heads. They’ve got no real foundation in anything else than the cultural habits that their authors bring to the issues. So if you find a religious text telling you that homosexuality is a bad thing, well that text is written by someone and he brought to it his ethics, and he takes out of it his ethics. So, in a nutshell, as I like to put it, Hume’s position is you can’t check out of Hotel Supernatural with any more baggage than you took into it. That’s a very important discovery. It means that arguing about the existence of God becomes kind of pointless. What you should argue about is the implications people think they can draw from it. Is Hume your favourite philosopher? Yes. I think Hume along with Wittgenstein. My third would be Aristotle, who also deserves lots of credit for his association of the investigation of human nature with the whole investigation of nature. Fourth would be Kant. I think I have to put Kant in over Plato.